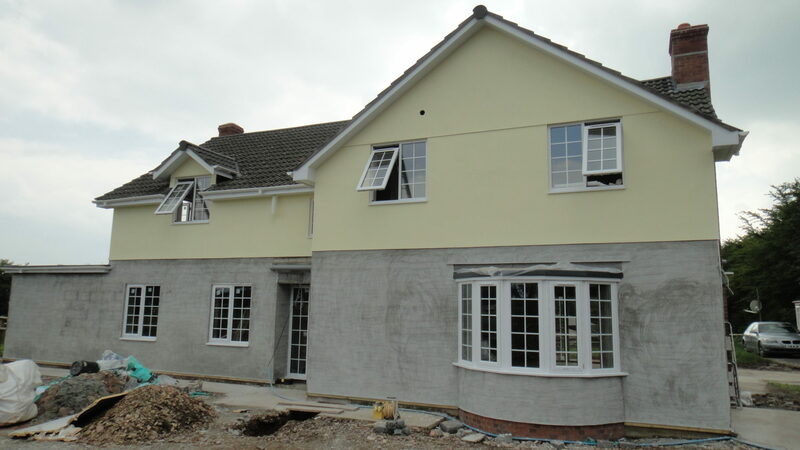 Exterior rendering is the term most commonly used for a plastered finish, which is applied to the exterior facade of a building. It consists of a mixture of sand cement and lime, that is applied to the exterior walls of a building as a protective layer against the elements. 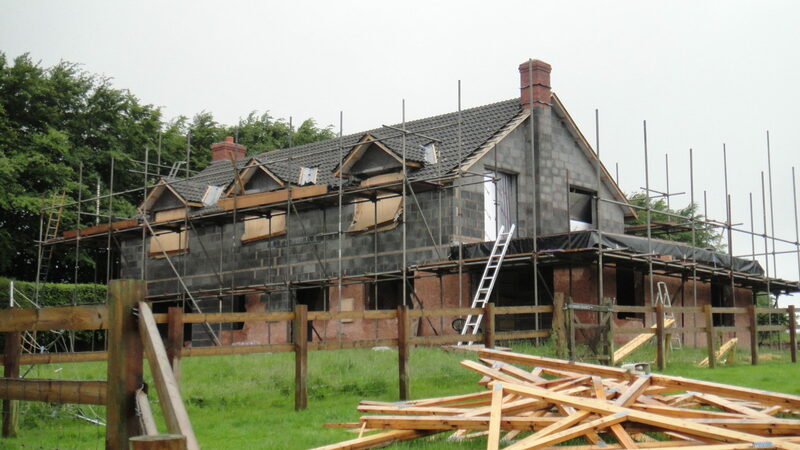 Our Rendering services usually takes the form of a two coat process. 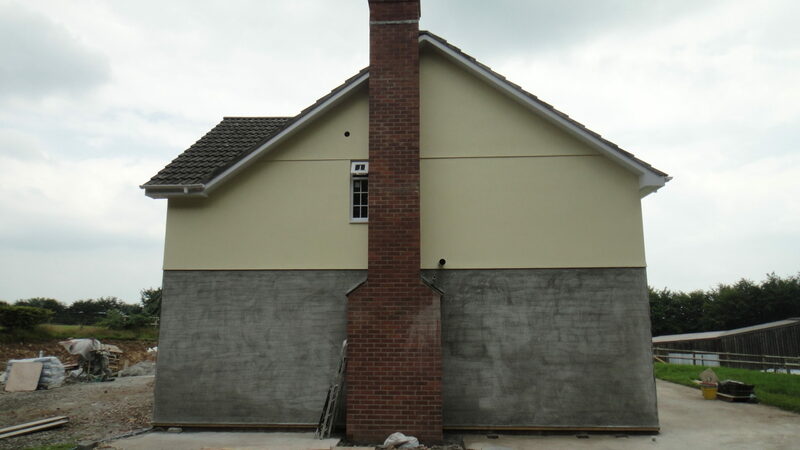 This is the base layer that forms the bond between the existing brick work and block work, or surface wall to the new surface render that is used to cover over any surface blemishes and create a smooth surface for the top coat to be applied to. 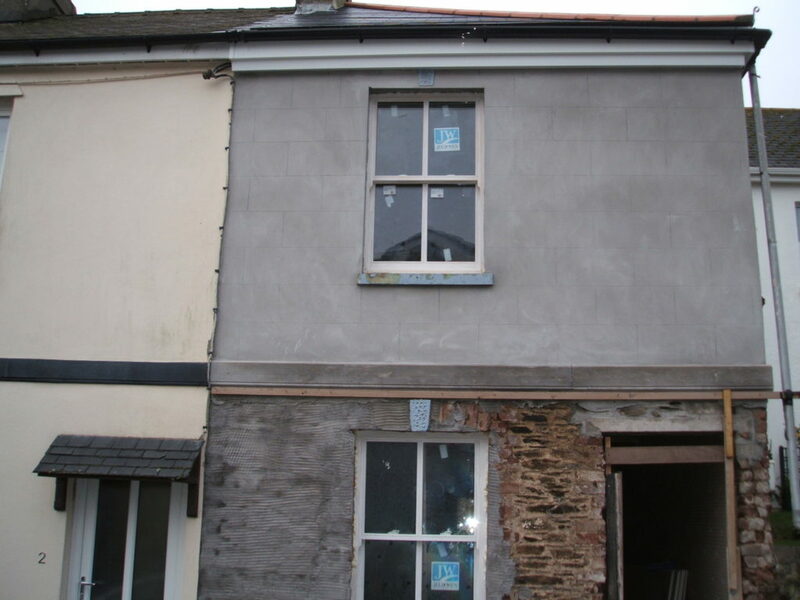 We also offer a service for Plinth rendering, a vital part of protecting the exterior facade of your property from damp. The Plinth forms a break between the rendered walls and ground level, its designed to reduce the likelihood of damp affecting the property below the damp course. Therefore, it is important to make sure that they are rendered and maintained by a skilled professional. Plinths typically last around 40 years, but because of their protective function, are the most likely part of a building to suffer form damp. Regular checking is advisable. 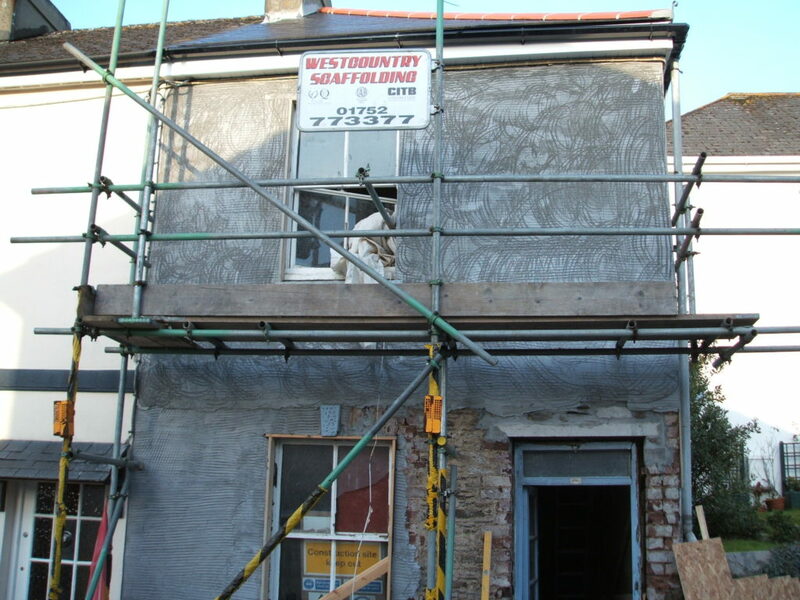 We are skilled in the removal, rebuilding, rendering and restoration of Chimney stacks and Parapet walls, along with re-pointing and Chimney coping and Chimney Pot Replacement.